At the Specialty Food Association’s Summer Fancy Food Show, Hartman Group SVP, Shelley Balanko, shared insights into what’s driving consumer demand for today’s — and tomorrow’s — specialty foods and beverages. 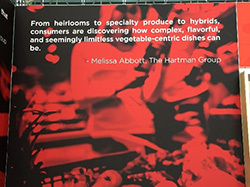 “Specialty is no longer reserved for special occasions, and specialty food and beverages are of interest across a multitude of everyday food and beverage categories,” said Hartman Group SVP, Shelley Balanko, at the Specialty Food Association’s Summer Fancy Food Show held this past June 25-27 in New York. 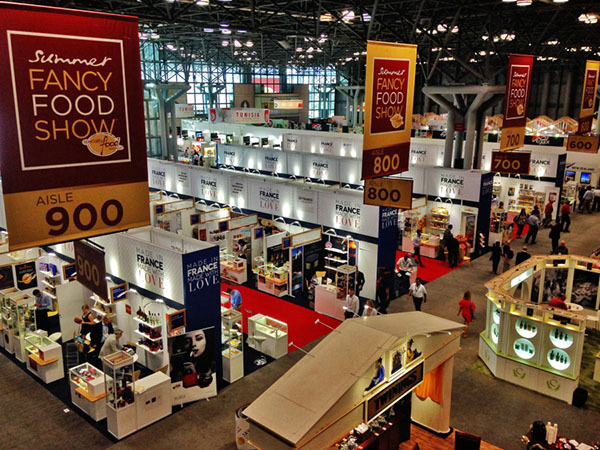 The Summer Fancy Food Show is a massive event with culinary delights from the world over, including regional U.S. representation. Within the sea of cheese, olive oil, charcuterie and confectionary, the trends The Hartman Group has long been researching, analyzing and providing consultation around were evident. “Innovation is all around,” said Balanko. “Innovation in formats was apparent as was innovation in packaging.” This included bite-sized and snackable formats, smaller portions for permissible indulgences, resealable pouches for convenience and customizable kits (meals, burgers, ice cream). While very much category-specific, Balanko noted that trends have a pervasive, overarching bent toward health and wellness even in this highly indulgent space. Attention to ingredient sourcing and production practices was a hot topic, and post-presentation questions focused on which product certifications are best to win with consumers in the specialty marketplace. There is strong interest in and concern about e-commerce and its implications for the food and beverage industry. The impending Amazon acquisition of Whole Foods Market was a hot topic of discussion during Q&A.